Made entirely in Italy, this horizontal EVO wallet has a sleek design and racing personality. SaffianoSaffiano is a type of leather with an iconic print that offers good resistance to abrasions, water, scratches and stains. 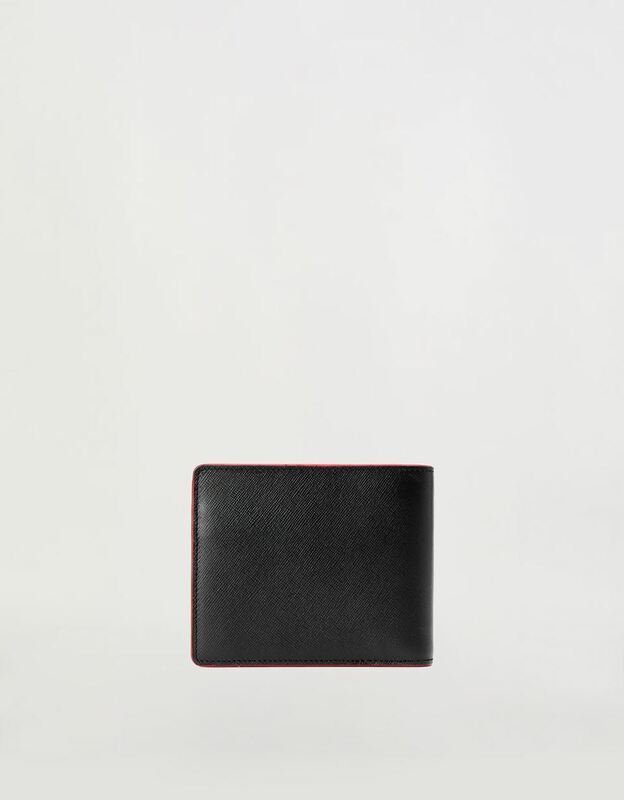 Accessories made of Saffiano are therefore practical for use, while maintaining the typical elegance of leather. leather, which is highly resistant to abrasion, scratches and stains, adds functionality and its classic elegance to the Scuderia Ferrari wallet, which features smooth leather inserts on the front and is customized with an enameled Ferrari Shield. 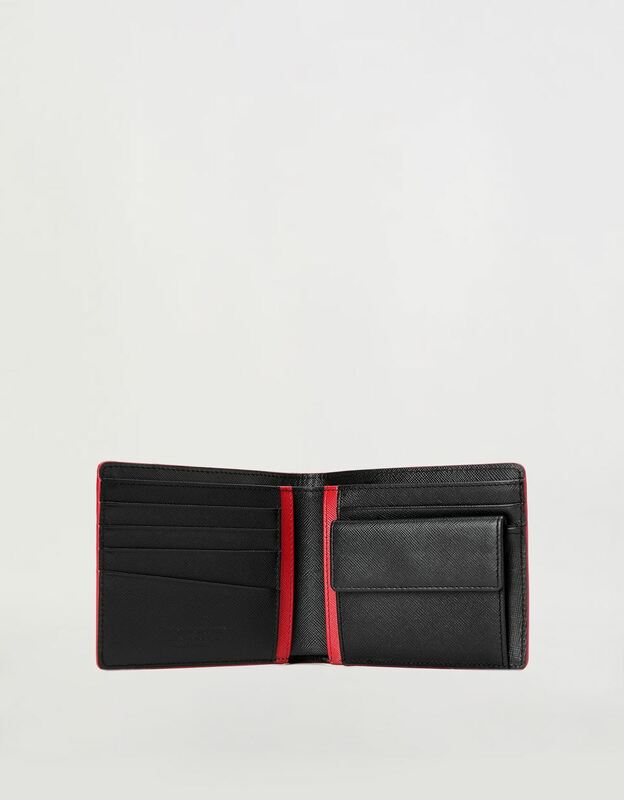 The detailed interior is enlivened by a contrasting red insert and has two bill compartments, five credit card slots and a practical change pocket. 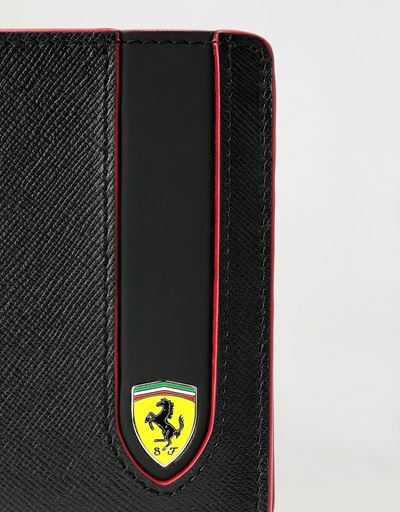 The laced red edges are a tribute to the accessory’s racing heritage.